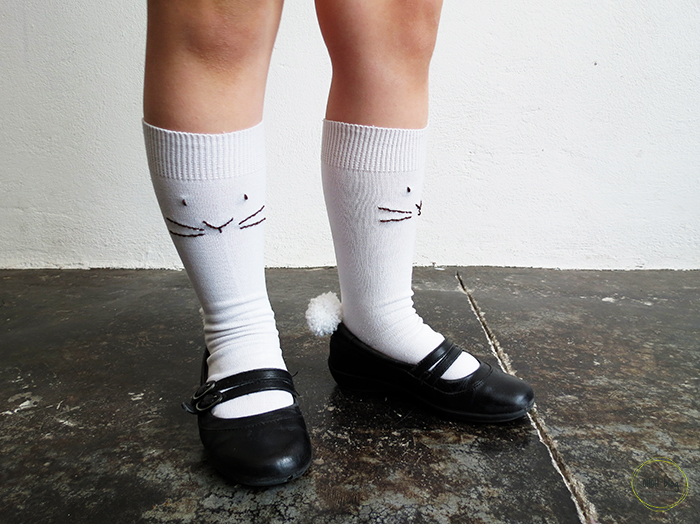 First, I saw those socks on Hubble + Duke, there are just too cute. I wanted to make a DIY version for my daughter. As we are now only a few days away from Easter, a pair of bunnies seems to be the perfect choice! 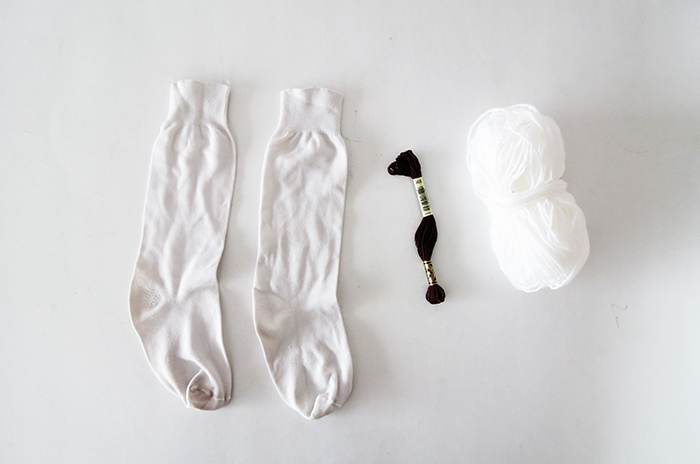 You will need a pair of white socks, black or dark brown embroidery thread, a needle, and white yearn. 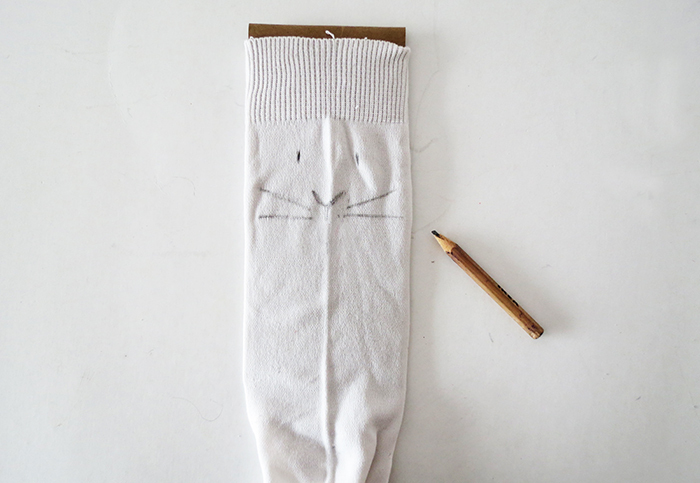 Place a piece of cardboard inside the socks and use a pencil to draw the bunny face. It’s just a few lines for the whiskers, a Y for the nose and 2 points for the eyes. Embroider your bunny head by following the drawing. 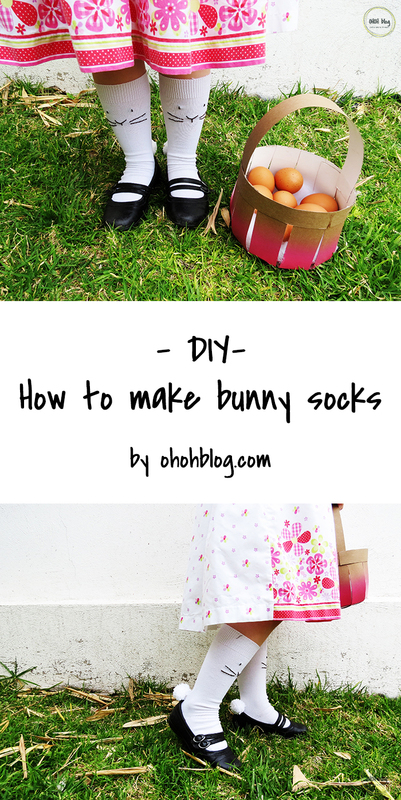 Make your bunny a tail using a pompon. 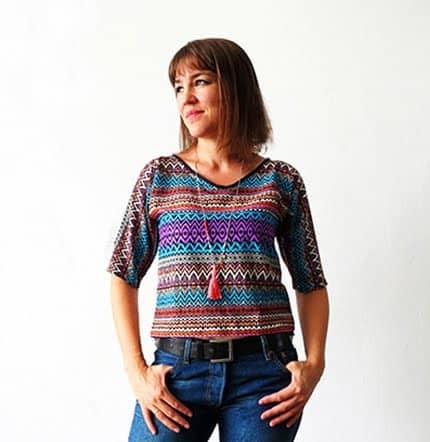 Wrap yarn around a fork, make a knot is the center and cut the edges. 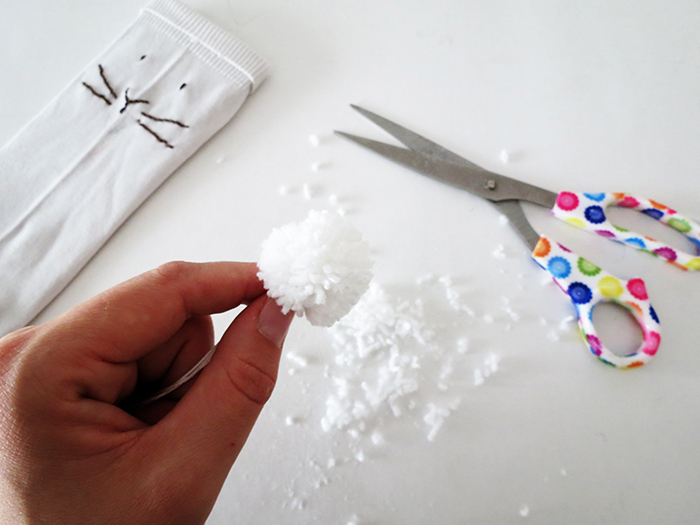 Trim your pompon to give it a nice round shape. 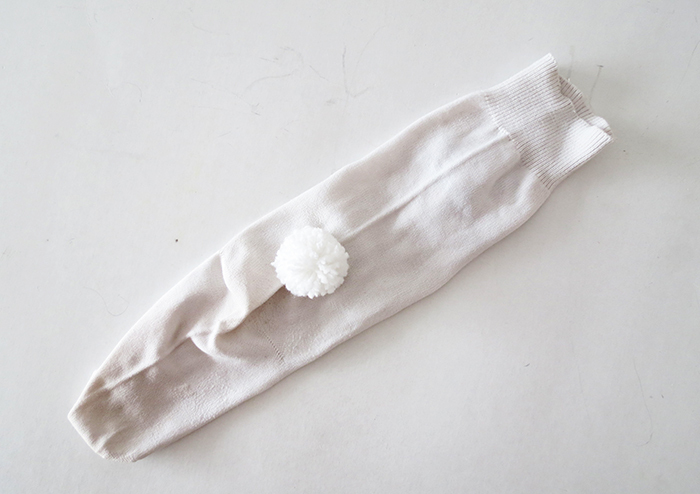 With a few hand stitches, fix the pompon on the back of the sock, a little above the heel. 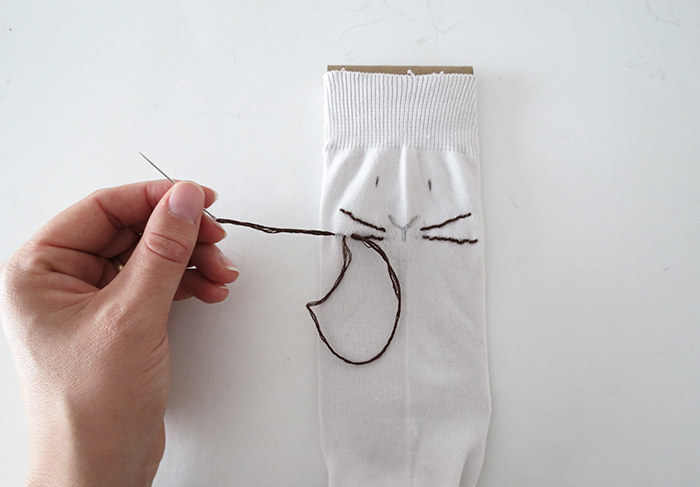 And repeat all steps to make the second sock. 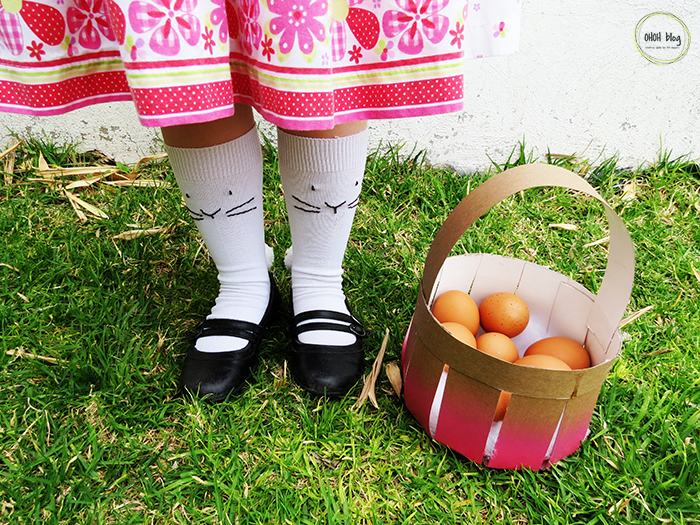 And ready for Easter! 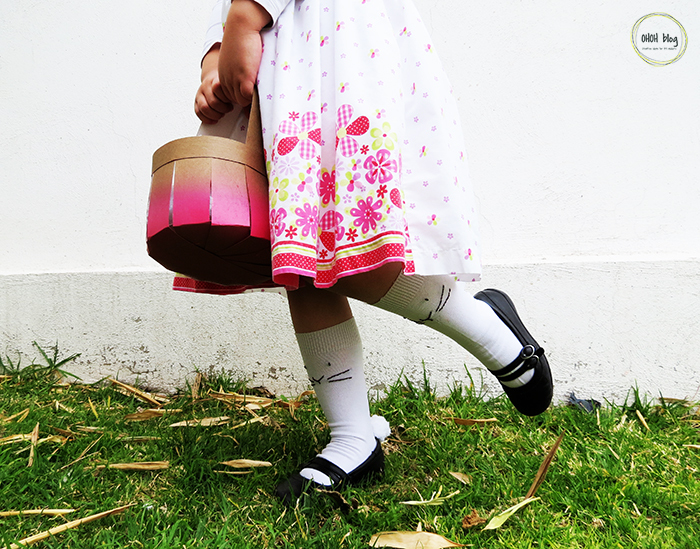 I’m pretty sure that wearing bunnies socks will help to find all the chocolate during the eggs hunt!!! 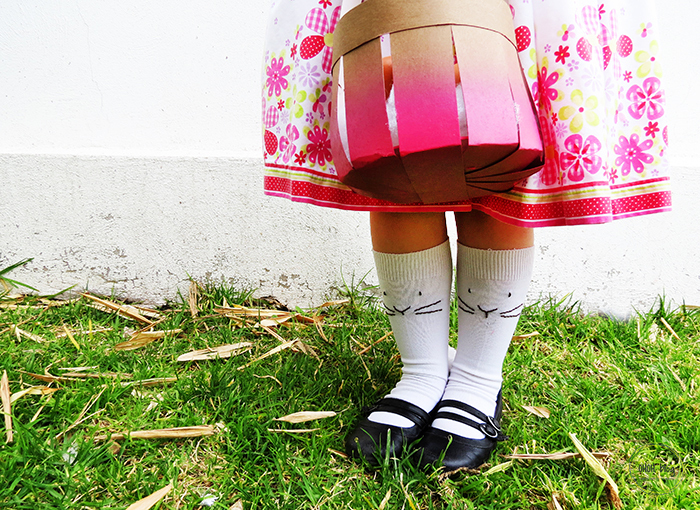 If you need a pretty basket, you can have a look at this 10 minutes tutorial. Ah oui, ça poser elle aime bien!